A collection of original Holmes stories that mix the great sleuth with the macabre world of H.P. Lovecraft. Arthur Conan Doyle’s Sherlock Holmes is among the most famous literary figures of all time. For more than a hundred years, his adventures have stood as imperishable monuments to the ability of human reason to penetrate every mystery, solve every puzzle, and punish every crime. For nearly as long, the macabre tales of H. P. Lovecraft have haunted readers with their nightmarish glimpses into realms of cosmic chaos and undying evil. 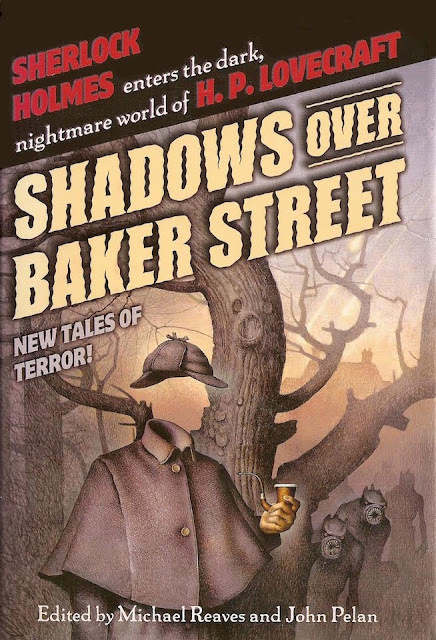 But what would happen if Conan Doyle’s peerless detective and his allies were to find themselves faced with mysteries whose solutions lay not only beyond the grasp of logic, but of sanity itself. In this collection of all-new, all-original tales, twenty of today’s most cutting edge writers provide their answers to that burning question.